In the besieged parts of the East Ghouta rural area near Damascus, Syria, intense bombing has been continuing for weeks, on an almost daily basis, and is still ongoing. On Thursday 5th February, 60 air strikes were reported on just one day in the East Ghouta area, during which two medical facilities were hit and all staff and patients evacuated. One nurse was killed on his way to work in a hospital on 8th February. Hundreds of wounded have been treated in Médecins Sans Frontières/Doctors without Borders (MSF)-supported medical facilities in the area, and medical data is still being collected during our daily contact with these facilities in order to better understand the needs and the medical situation. The bombing is ongoing with devastating consequences. More than half of the wounds required surgery, and more than 20 of the wounded were children. On Friday 23rd January, there was an earlier serious crisis when a crowded market was bombed. 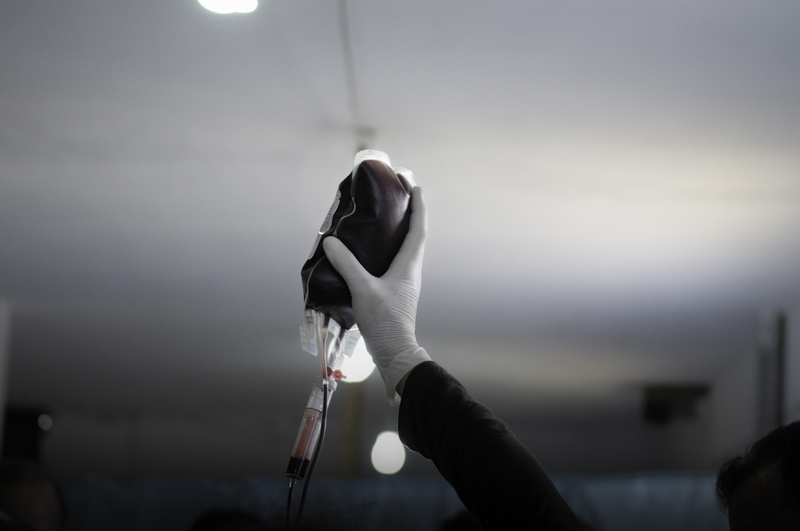 One-hundred-and-forty-seven wounded people were treated by seven makeshift hospitals in the East Ghouta area that are supported by MSF. More than half of the wounds required surgery, and more than 20 of the wounded were children. "For the past month the crisis in the besieged areas near Damascus has dramatically deteriorated," says Dr Bart Janssens, Director of Operations for MSF. "The number of patients treated in the hospitals we support has gone beyond breaking point, and the number of requests for medical supplies has shot up. “The massive bombardment on 5th February, and the extremely deadly bombing in a crowded market on Friday 23rd January are particularly horrific, and have chilled us to the core. But these incidents are in no way unique - they are part of an ongoing pattern of unimaginable violence. “Working from outside of Syria, we are trying to support the Syrian medics who are treating the victims of these attacks and maintaining a basic healthcare service, but the lifeline to keep those facilities operating is extremely tenuous." Archive MSF photo showing Emergency-Room medical activities in Syria. Alongside the four medical structures that MSF is still able to keep running in Syria's volatile and brutal war, the medical humanitarian organisation has developed a desperately-needed programme of support to Syrian medics working in more than 100 facilities throughout the country. These are makeshift hospitals and health centres where no MSF staff are present, and MSF provides both material support and distance training support to help the hospitals cope with extreme medical needs. The focus of this support is increasingly on besieged areas. Over the past two years, the MSF team has been in weekly, often daily, contact with Syrian medics as the efforts of the Syrian doctors and nurses to provide care have become increasingly desperate.